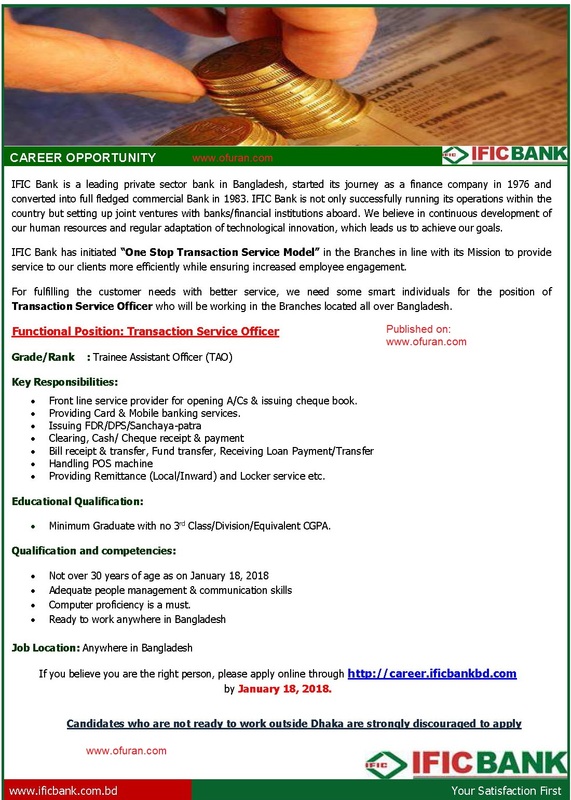 IFIC Bank Job Circular 2018 has been published on official website www.ificbankbd.com today. IFIC is one of the leading private sector banks in Bangladesh. It is running successfully throughout the country and setting up joint ventures with banks/financial institutions abroad. Minimum Qualification: Minimum graduate with no 3rd Class/Division/Equivalent CGPA. Age not over 30 years on 18 January, 2018. It is the deadline.